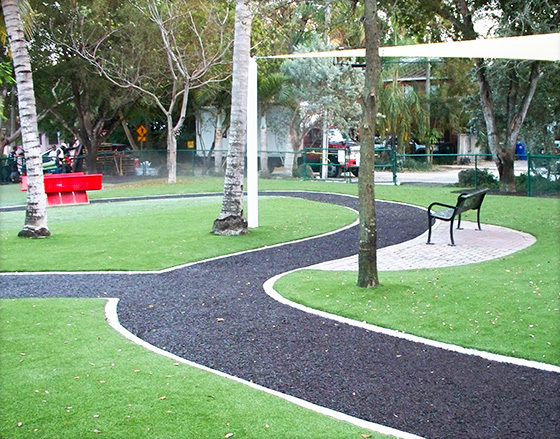 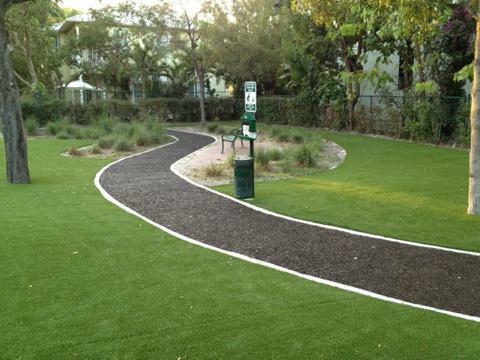 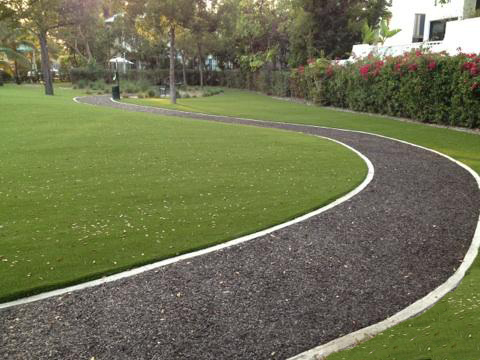 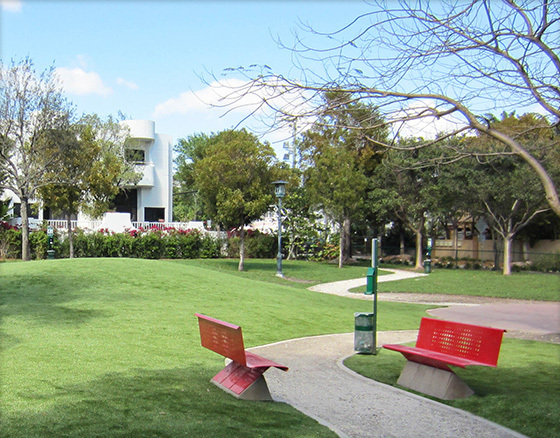 To develop this low-maintenance dog park for the city of Miami, Lanmark Designs worked with XGrass and Play It Surfacing to create an environment that would withstand rain, hot temperatures, and the heavy abuse caused by the dogs. 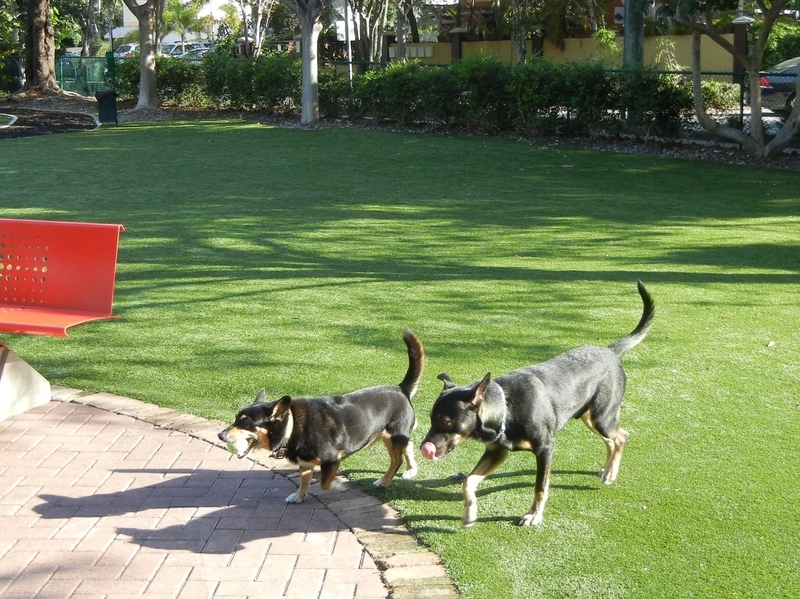 One problem with the existing park was that grassy areas were turning into mud baths from the rain and constant activity from the dogs. 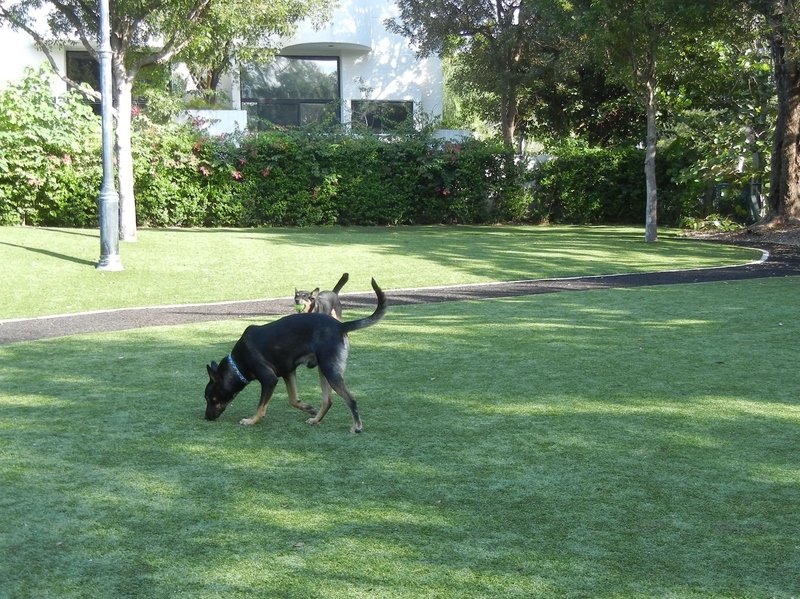 So, we specified an XGrass pet turf system constructed with highly durable fibers, a proprietary TruFlo backing, and an antimicrobial Envirofill infill to provide a clean, healthy, and mud-free playing surface for the dogs. 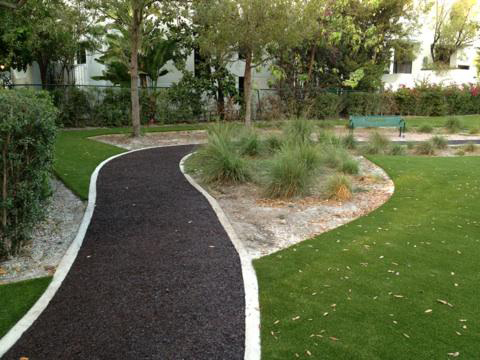 Anyone who has visited Florida knows how flat it is but Blanche Park featured a natural mound that park managers wanted to keep in the new design. 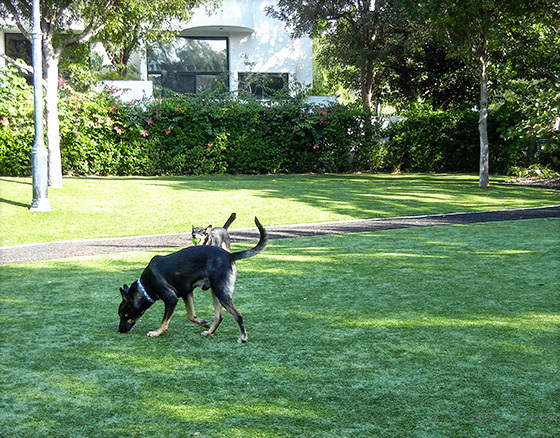 Typically, synthetic grass is laid on very flat surfaces, but we worked with XGrass to create a design and installation plan that would allow us to keep the mounds which we apply named "Hound Hills." 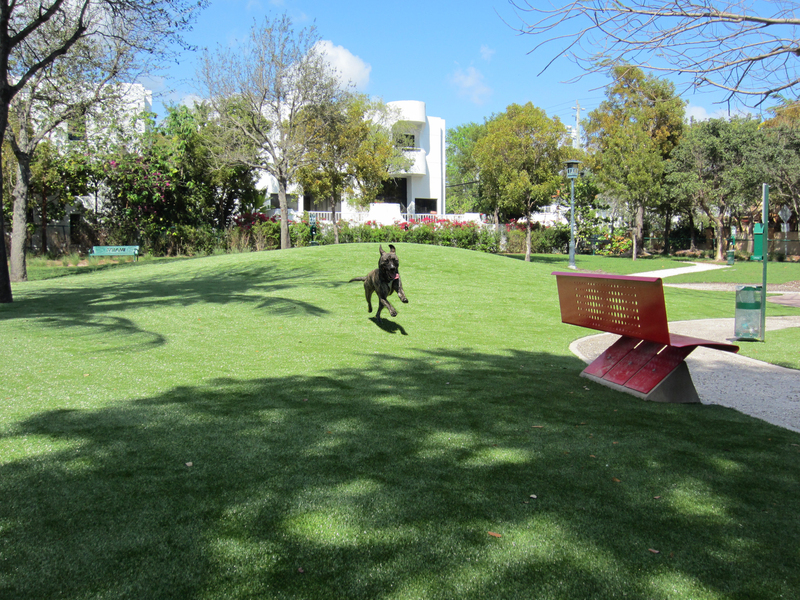 Since some dogs like to play, some dogs like to walk and some dogs like to sit, we designed spaces for every activity. 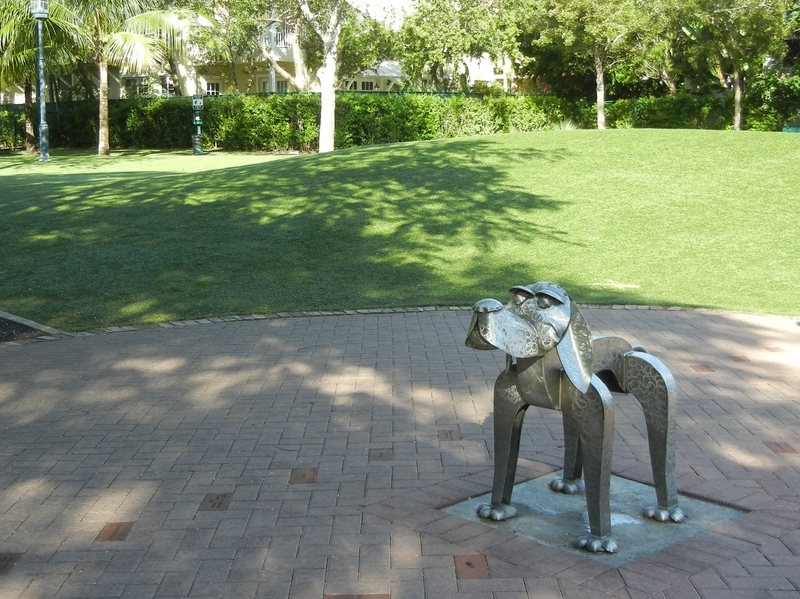 The park features a bonded rubber mulch walking path, seating areas and plenty of open space to romp around with other dogs. 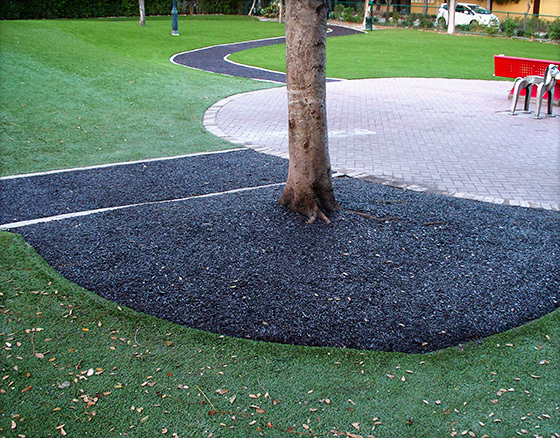 To minimize maintenance, many trees in the park were surrounded completely by the synthetic grass, but others featured tree wells made from Play It Surfacing bonded rubber mulch. 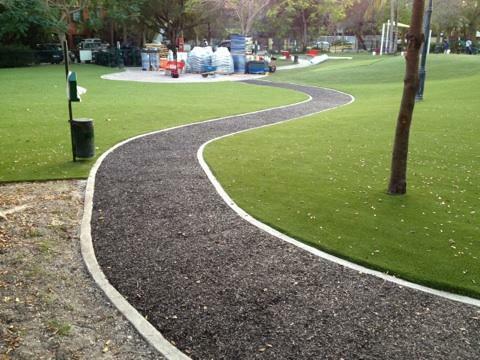 The brown rubber mulch provided a very natural look yet required no maintenance.